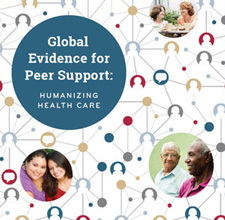 This systematic review identifies, appraises, and summarizes the evidence on the effectiveness of peer-delivered recovery support services for people in recovery from alcohol and drug addiction. Nine studies met criteria for inclusion in the review. They were assessed for quality and outcomes including substance use and recovery-related factors. Despite significant methodological limitations found in the included studies, the body of evidence suggests salutary effects on participants. Current limitations and recommendations for future research are discussed. CHWs: Potential allies for the field of psychiatric rehabilitation? Community health workers: Potential allies for the field of psychiatric rehabilitation? We evaluated a community-based, translational stress management program to improve health-related quality of life in Spanish-speaking Latinas with breast cancer.